When to write your will has never had an exact age. We always think of wills as a last testament we do on this earth. Read on to learn about planning a will and when should you write a will. No one enjoys thinking about the prospect of dying one day. Sadly, it's part of life, and it's something that happens to all of us, regardless of how wealthy or important we are. While there's little of consequence to you once you pass, it's important that you consider your final wishes. These can go beyond what you'd like your last days to look like and include plans for your home, minor children, pets, and personal property that you'll leave behind. Planning a will is something everyone should do, regardless of how much they're worth or what money they have. Many people make the mistake of believing that a will is only for someone with a lot of money to burn. Having a will goes beyond your assets, and can prevent problems and fights among family after you pass. If you're planning on creating one, it's never too early to get started. Learn more about what situations call for reasons to have a will, and what you can do to get started on the process. If you're the parent of young children, it's important to think of their needs and plan the best future for them. This includes picking a friend or family member that is a capable guardian if you and your spouse both pass away. Before you make this choice, consider carefully the individual you have in mind. Whoever you pick, you want to make sure your child is with a guardian that loves and cherishes them. If you don't have a will in place when you pass, your child could end up in the hands of a family member who's more interested in inheritance than they are taking care of the child. This is an important example why having a will is crucial at any age. What you plan for the future can determine how your child's life gets shaped if you pass away before they turn 18. Getting married (or remarried) is always an exciting change to anyone's life. And although divorce is not always planned, it's still a relationship change, for better or worse. When you're undergoing changes that involve taking or losing a partner, it's time to change up your will. In the event that you pass after a divorce, you don't want your will to name your ex-partner as someone benefiting from your estate. If you have a new partner and want certain items left to specific people, it's important to name that, too. If you're married and you die without a will, it's automatically assumed that everything goes to your partner. For those with children from a previous relationship, it's crucial to put on paper what you want them to inherit. Among the reasons to have a will, planning and thought behind who gets what are the most important factors. A business that you've established and built from the ground up is something to feel proud of. It's also important to figure out what you'd like to have done with it after you pass. Many business owners make plans to leave their business to their children. You can decide if this is a route you'd like to take, or if there is an employee or another worker who you'd rather leave the company to. Decisions like this become difficult if a plan isn't made out. Family members can take the will to court and challenge the lack of decisions as to who gets what. If you didn't want to sell your company and had dreams of passing it down to someone else, you need a will. Think of your business as your child, and treat it the same way; look for someone who can administer the same loving care you provided when you ran the company. A good corporate lawyer that understands estate planning can help plan the succession of your business. Buying a home is one of the biggest purchases you'll make in your life. Perhaps you've gone house hunting and finally found the ideal place that makes you feel comfortable. While you're sure to enjoy your time in your home, you'll need to consider what to do with it after you pass away. Many people choose to sell off the home and split the proceeds between family members. Others decide it's better to leave the home to a specific family member and keep it around for others to enjoy. In many cases, if there is no will, your home gets sold and the profit gets split. Even if this is what you want to happen, it's still a good idea to get everything down on paper. You might not want everything split in an even manner. Perhaps you'd rather see the money go to a charity, or you'd like to leave it to someone in your extended family. If you've had any changes in your life, consider how your will stands up and what you'd like to do to amend it. Changing a will typically occur with the addition or departure of friends or family members from your life. But it can also occur when you acquire wealth and want to make plans for how that money gets spent. When one of these instances occur and you expect to have a large amount of money left over, it's time to think about how you'd like to handle it should the situation arise. Sit down with an attorney and make time to plan out your last will and testament. You'll feel confident about having the money go to the correct channels and know that if there was anything you had planned, your will helps to carry those wishes out. While having an unexpected windfall is a good thing, making plans on what gets done with it after you pass is just as important. A near-death experience is a scary but real reminder that our time on earth is limited. If you've had one, you're no doubt thankful you're alive and still with your friends and family. If you've gotten through this experience, you're no doubt thinking about how to handle a situation should something like this occur again. If you didn't have a will and other stipulations in place, now is the time to handle that. Preparing your estate is an important function many people overlook when they're younger or if they haven't had any experiences that bring them to the brink of passing. Having your wishes down on paper not only makes sense, it gives you security and peace of mind. You can feel confident that if something happens, everything is planned out and you won't feel the burden of wondering how to manage things when you become too far gone to do so. When a family member passes, fighting and other problems are something that occurs in a bid to lay claim to the money, possessions, property, and even pets. Even if you don't have a lot of items or goods to give others, it can still cause problems when there's no will in place. In some cases, family members simply take what they want without telling anyone else. In others, individuals fight and try to claim what is theirs without telling anyone else. In the worst case scenarios, this can go to probate court with no will in place. Items and money get split evenly, but if you wanted to leave something specific to a certain person, there's no promise that this happens the way you want it. In order to avoid the issues that come with family and friends fighting over who should get what, it's better to have a will in place. You'll rest assured that anything of value you have goes to the person intended and keep family affairs from blowing up. If there is a charity that's near and dear to your heart, you no doubt want to leave something to it when you pass on. Gifts for charity after passing can get viewed as a final act of love after you've left the world, supporting a cause that you always believed in. This can range from anything, from animals, the environment, children, or a scholarship fund from the college you graduated from. If it's a cause you've supported your whole life and you want to encourage other people to do the same, this is the perfect time to do so. In your will, you can state if you'd like donations to your charity in lieu of flowers. If you have a certain amount of money that you don't plan on using and there's no one you want to give it to, you can request the charity gets it instead. By outlining your plans for your money and what charity you want it to go to, you'll know that your final wishes get carried out and it won't get divided among friends or family members. This makes things easier not only for you, but also for your executor and everyone else in your family who now has a clear vision for your plan. Your last wishes might even inspire family members to get involved with the charity, as a way to honor your memory. If you have an illness that's expected to take over your ability to think clearly, or you worry about this possibility happening, make sure you outline not only a plan in your will but also have a power of attorney and a personal directive "living will" set up. A power of attorney allows another individual to act on your behalf and make choices for you. This ranges from deciding how long to keep you on life support, to making out checks and signing them on your behalf if you can no longer do banking. 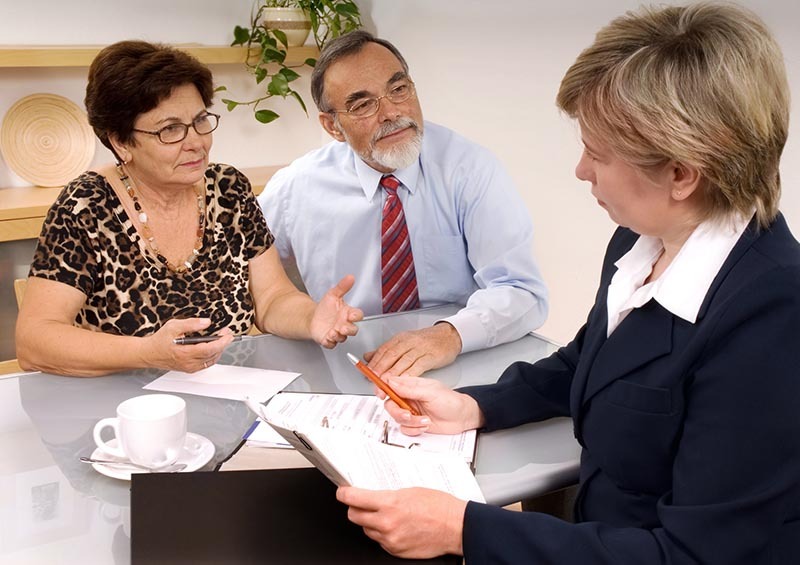 Having a power of attorney is a serious matter and not one to take lightly. Your will can outline if you want anything extra to go to the person who has taken on these duties, and what your plans are for your finances. A power of attorney is helpful since you can keep this person up-to-date on your will, and let them know how you'd like things handled. Many people make the person who has power of attorney their executor, but it's not a requirement. The important thing is that you're aware of what can happen should you fall into a vegetative state, and you have someone to help you. If you don't have a will set up already, it's important to get started now. Many people put off the process, thinking that planning a will is too difficult. If you have any questions about using your Will as as part of your Estate Planning tools; or for any questions regarding Probate Law, please understand that you do not have to go through this process alone. Contact us, and see how we can help you make the process understandable and easy to handle. We have helped 1000's of people just like you. This entry was posted in Planning a will by verhaeghelaw. Bookmark the permalink.